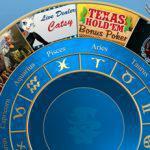 There are several factors to consider when choosing the best casino game. 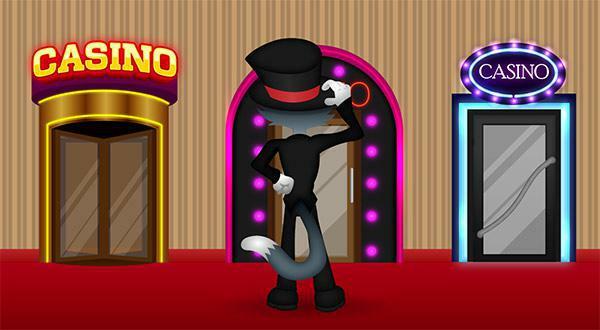 A particular casino game may be great for some people, but it just might not do it for you. Out of the thousands of types of online casino games available to play for fun or real money, the following tips will help you get your game on. The first thing to consider when finding your perfect casino game is whether you prefer games of chance or games of skill—or a little bit of both. Games which rely on pure luck are good for people who don’t want to spend a lot of time thinking about strategies, numbers, odds, or any other calculations. They also provide an extra thrill when you are on a winning streak, knowing that Lady Luck is on your side. Casino games which require skill and strategy take a lot longer to master, but they are much more lucrative for those who like to play online casino games for real money. The odds favor the skilled gambler over the ‘baller’ who is just in it for a quick thrill. With a little patience and luck, strategy-based games can really pay off over time. Plus you get the added thrill of knowing you beat the game with your wily ways. Casino games come in several basic categories, and a good place to start when choosing your favorite game is knowing the type of game you prefer. 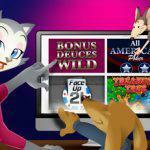 Do you like table games, slots, or specialty games? 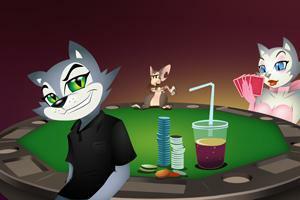 Table games include popular card games like poker, blackjack, and baccarat. 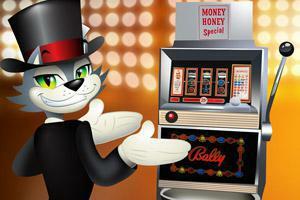 Slots, aka slot machines, fruit machines, or pokies, are great for those who want an easy game based on pure luck. Specialty games include roulette, craps, keno, pai gow, and sick bo. 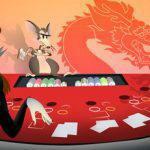 Some card games rely more on luck than skill (like baccarat), while others favor a player with a good strategy. Poker is a good example of a strategy game, as it balances the luck of the draw with soft skills like bluffing. Poker is one of the world’s favorite casino games for good reason. This classic card game combines luck and skill in equal portions, and there are many variations you can play. 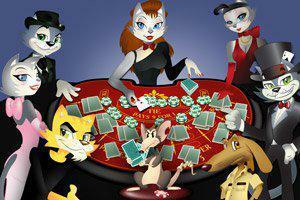 Texas hold’em poker is one of the most popular poker variants in the world. The action is faster (more hands dealt per hour), and it balances just the right amount of luck and skill. In classic 5 card draw poker, players rely heavily on bluffing because they don’t know exactly what the other player is holding. With hold’em, up to 10 players all make their hands from a face-up row of ‘community’ cards plus their own two ‘hole’ cards. It is much easier to calculate what other players may hold when half of their hand is on display for everyone to see. Video poker is also very popular with online casinos, and it comes in more varieties than you can count. 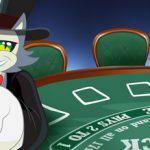 Another classic casino card game is blackjack. It is a favorite with players because it is very easy to learn and there is not much to master in the way of strategy. You are only competing against the dealer, and you just need to score 21 (or close to it) without busting (going over 21). Dealers must also adhere to casino rules, such as hitting on a 16 and standing on 17, which limits their options. However, those rules are a good standard for every player, as hitting on anything higher than 16 (i.e. a queen, 10 points, and a 6) can easily result in a bust. You can also change your bets mid play when certain cards are dealt, for example, betting ‘insurance’ or ‘split’ bets, where you split one hand into two for double the fun. Baccarat is a very old card game invented in the 1400s. This game is perfect for beginners because it is easy to learn, and the luck factor is higher than the skill factor. The object of the game is similar to blackjack in that you must hit a certain point total without going over. In baccarat, the magic hand is 9. All cards over 10 (including face cards) are worth zero, except the ace, which is worth 1. 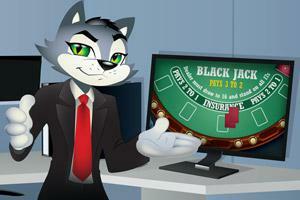 Another twist: you have the option of betting on either the banker (dealer) or player (you). Around and around and around it goes, where it stops, nobody knows. The ‘little wheel’ of roulette has captured the imaginations of many people. The gracefully-spinning wheel almost hypnotizes us as we wait for the ball to drop in the pocket of our lucky number. Roulette is a true game of chance in every sense of the word. You may never see a 7 in 100 spins, or you may get four 7s in a row, which is truly random. Roulette is simple to learn, but betting properly is a strategy unto itself. Choosing a particular number (straight betting) pays out the highest, but the odds are 37:1 against you. 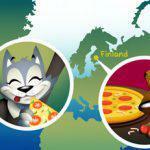 Smart players hedge their bets by spreading their chips around the betting grid. Wager on odd/even or black/red for a safer bet (which also pays out lower). 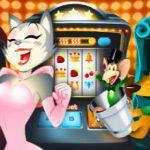 The most popular game on our list of ‘random chance’ casino games is slots. A computer program called a Random Number Generator (RNG) powers the spinning reels for true random odds. Unlike physical slot machines, online slots sometimes offer more than 3 spinning reels, as well as multiple paylines, exclusive bonus features, and special themes. Choose from the classic fruit theme or go with one of thousands of new versions of the ever-popular game of slots. There’s a slot game for every type of taste: fantasy themes, film legends, nature, cartoons, and many, many more. There’s also a slot for every season, like the popular Christmas slots: Naughty or Nice, Revenge of the Rudolph, Swindle All the Way, and more. 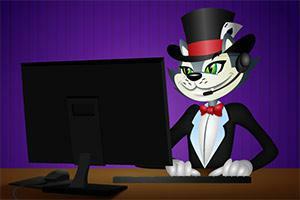 When playing any online casino game, it’s important to remember some key points. 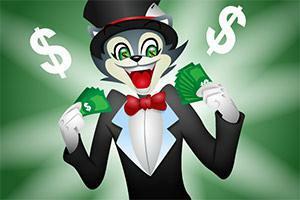 You can play many online casino games for free or for real money. 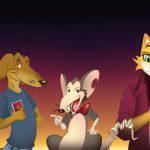 Still not sure which casino game is best for you? There is only one way for you to find out: try them all for free first. 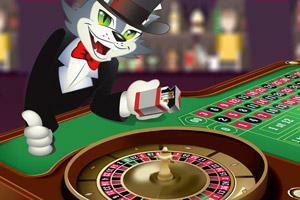 Playing casino games for free first allows you plenty of time to find your favorite and perfect your strategy. 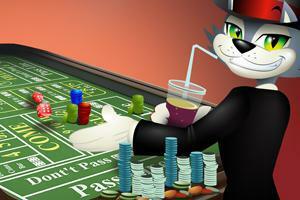 Once you’ve found the best online casino game, you’re now ready to play for real money. And most importantly, have fun. Good luck! Larry Cooper is a freelance writer and editor. An avid sports and gaming enthusiast, Larry has a love of all things esoteric, strange and seemingly random that influence how luck unfolds.